As the end of year holidays approach, it’s only natural to start thinking a little bit more about bubbly. In reality, though, Champagne is a wine for all seasons. Champagne continues to be one of the most exciting regions in the world. This year I tasted a number of wines and producers that are new to me. The explosion of small, estate-bottled Grower Champagnes is one of the biggest reasons the region is so full of discovery. These small, family-run properties used to sell their grapes to the big houses, but as those contracts expire, the younger winemakers representing the new generation are choosing to make their own wines, echoing a trend towards estate-bottled wines that started in Burgundy and a few other places in the 1980s. What are the differences between the Chardonnays of Le Mesnil, Cramant, Oger and Avize? Or the Pinots from Aÿ, Mareuil, Ambonnay and Bouzy? 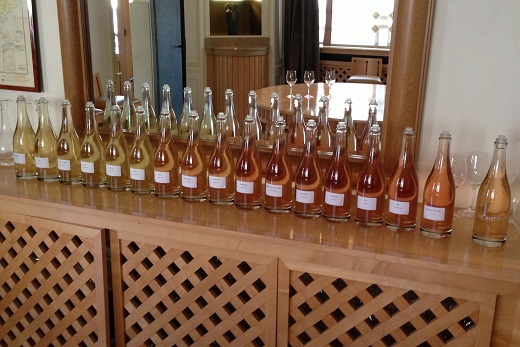 What are the attributes of 100% Pinot Meunier wines? What is the potential of emerging areas like the Côte de Sézanne and the Aube, which in many ways resembles Chablis more than Champagne? Up until a few years ago, these were difficult discussions to have. There just weren’t enough reference points. Sure, you could taste the vins clairs as Krug, Roederer or any of the big houses that source fruit and/or wine from those villages, but there were only a handful of growers bottling their own wines that were worth following. Today, there are dozens, and that number continues to increase each year. The growers, used to selling fruit, are themselves just starting to learn about their own terroirs, giving birth to numerous single-vineyard ‘lieu-dit’ wines that give us the opportunity to explore dimensions in Champagne in ways previously not possible. At the other end of the spectrum, the grands marques are hardly resting on their laurels. Winemakers like Richard Geoffroy at Dom Pérignon and Jean-Baptiste Lecaillon at Roederer are pushing the envelope, and pushing it hard. Geoffroy’s recent Dom Pérignon Rosés are hardly the staid, somewhat conservative wines of the past. The best recent vintages are deep and vinous to the core. Grower Champagne in drag, if you will. At Roederer, Lecaillon is one of the most meticulous, inquisitive and experimental of the grand marque winemakers I know. Over the years, Lecaillon has put on exhaustive vin clair tastings that explore numerous variables in farming and winemaking, including conventional versus biodynamic farming, malolactic versus blocked malolactic fermentations, oak versus steel fermentations, and of course the different shades of expression in Pinot Noir and Chardonnay across numerous sites. Other houses, like Taittinger and Dom Ruinart are perhaps a bit less risk-taking, but their wines have found a new level of consistency over the last few years. In short, grand marque Champagne is super-exciting these days. Of course, prices for the best tête de cuvées are high, but in my view those prices are largely justified by the age-ability of the best wines, something that remains the Achilles heel of most grower Champagnes. When buying Champagne to cellar more than 20 years, there is only one way to go, and that is grand marque. Next to the world’s other great wines, the reality is that Champagne remains underpriced, which is one of the reason so many savvy collectors have been paying attention to these wines for years. I want you to know you are buying the same wines I taste, review and recommend. That is pretty easy to do with vintage Champagnes, but next to impossible to do with NV Champagnes unless the wines are clearly labeled and differentiated from release to release. Without some type of clear identifier there is no way for consumers to know if the wine they are buying is the same wine I tasted, a ridiculous state of affairs that exists with no other wine. Ideally, a NV Champagne back label would indicate the base vintage (an even greater indication of the qualities of a given wine) plus the disgorgement date, both of which are helpful to consumers. Let me be clear. Newer disgorgements aren’t better or more desirable than older disgorgements, they are just different. There are times when older disgorgements are preferable, as the wines have had more time on the cork to recover post-bottling and to develop nuance. That was certainly the case with the two Krug Grand Cuvées I tasted for this article. As has been my practice for several years, I only review non-vintage wines with a disgorgement date or some other easily visible, consumer-friendly labeling, such as the ID codes producers have begun to introduce over the last few years. I am happy to report that the number of wineries that now include information on disgorgement dates, base vintages and/or other information on their NV Champagnes is growing, which is great for the consumer. Over the last year, Krug has added an ID code to the back labels of NV wines which can be entered into the Krug website for more information on the wines. 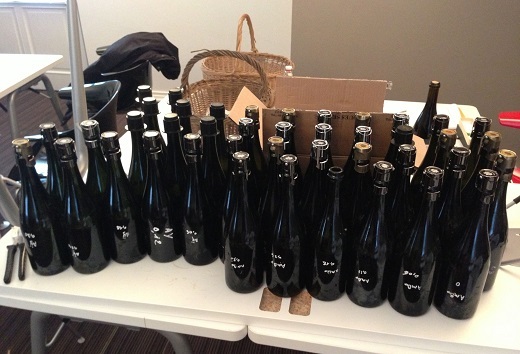 This year, all of the wines in Becky Wasserman's ‘Champagne et Villages’ portfolio listed disgorgement dates. These are both examples of the direction Champagne labeling is headed, and it is a big positive for the consumer. For more on Champagne, readers might enjoy this short video on choosing the right glassware plus thoughts on Agrapart, Cédric Bouchard and some of my other favorite grower Champagnes. 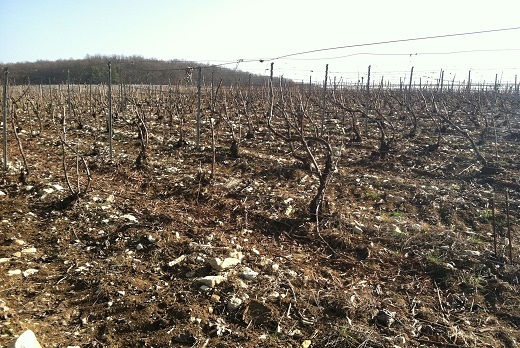 Other recent articles include our Spring 2013 Preview, Dosage Trials Chez Selosse, Cédric Bouchard: In the Cellar and Focus on Grower Champagne. With the holidays right around the corner, I would like to wish all of our Vinous readers a very Happy Holidays and healthy 2014. Note: All of the wines for this article were tasted in fall 2013. A number of producers do not have new releases in the market, including Bollinger, Dom Pérignon, Dom Ruinart, Moët & Chandon and Salon. Reviews for the most recent releases for all of these houses are available in the Vinous database.